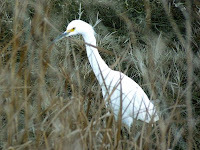 Two days ago, I walked most of the trails in Martinez Regional Shoreline Park. However, it got dark before I could finish. 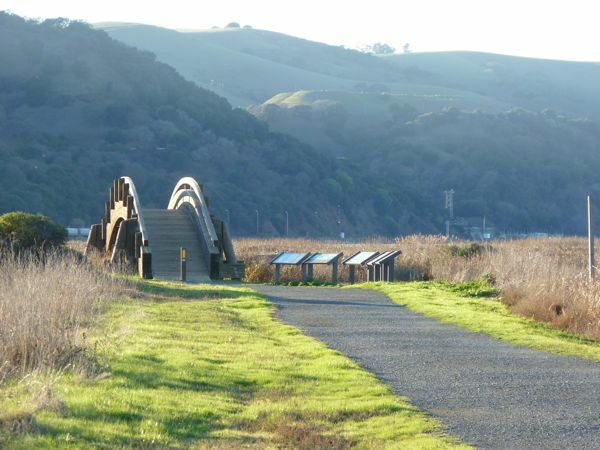 Today, I returned to walk the Pickleweed Trail, and the Western end of the Park. 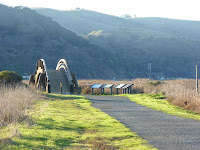 I walked from the parking lot, toward the Carquinez Strait, and over the arched, wooden bridge. 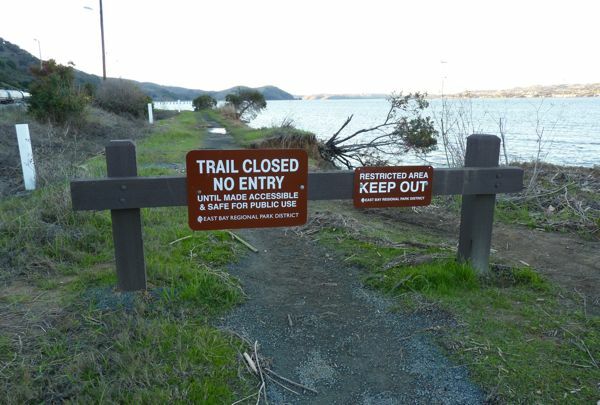 I followed the trail closest to the water, past the burnt ruins of a schooner near the shore, until I reached a point where a sign indicated that the trail had been closed for safety reasons. Just past this point, I saw what looked to be an area of collapsed bank and trail -- part of which had caved into the water. I then followed a curving trail that headed back toward the train tracks. This is a good spot for train watchers. For a time, I followed a paved trail/road past a park building, and crossed through the Granger's Wharf area, before returning to my car. 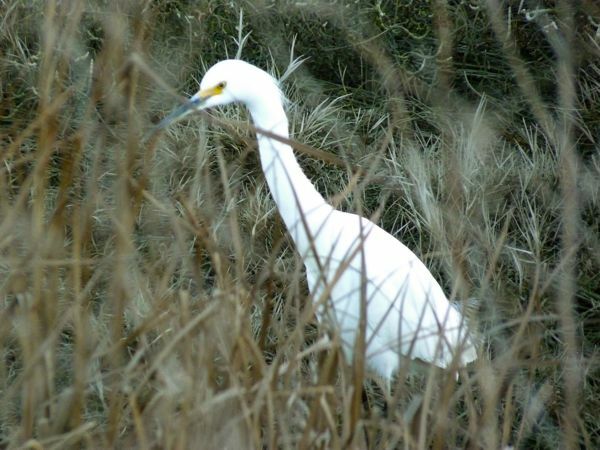 43 ducks; 1 little little brown job (LBJ) by water's edge/rocks; 15 sea gulls; 2 tiny unidentified brownish shorebirds; and 1 snowy egret.